The KCTS began in 1996 as a group of dedicated volunteers with goal of establishing a sustainable trail network for the Rossland community, and later the Lower Columbia Region. To do this, we have created a unique organization that combines the best that volunteers and paid employees have to offer. The society's directors are all volunteers and we receive help from other clubs, town councils, our regional district, store merchants and many local residents who commit their free time to build a better trail system. 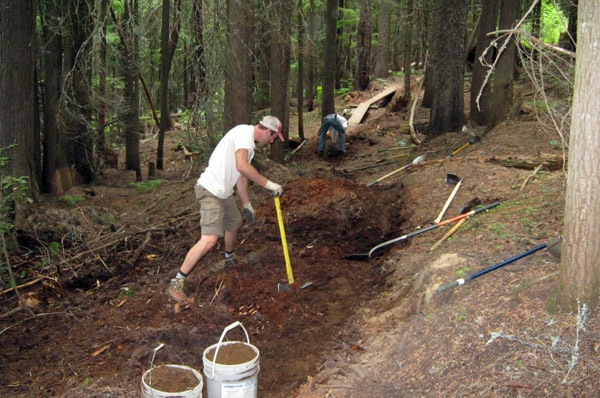 We employ trail builders as well as team up with local volunteers that want to hone their trail building skills. Many volunteers just love to dig and get their hands dirty. Creating sinewy trails through forest that users will appreciate for years to come is gratifying and rewarding work. People have been building trails since we've been living on this planet and this pervades many trail users to the core. The KCTS wishes to assist local trail builders into creating the finest trail network possible. There are endless projects to complete and we can guide your inner building fantasies in a way that will be productive, valued and legitimate. 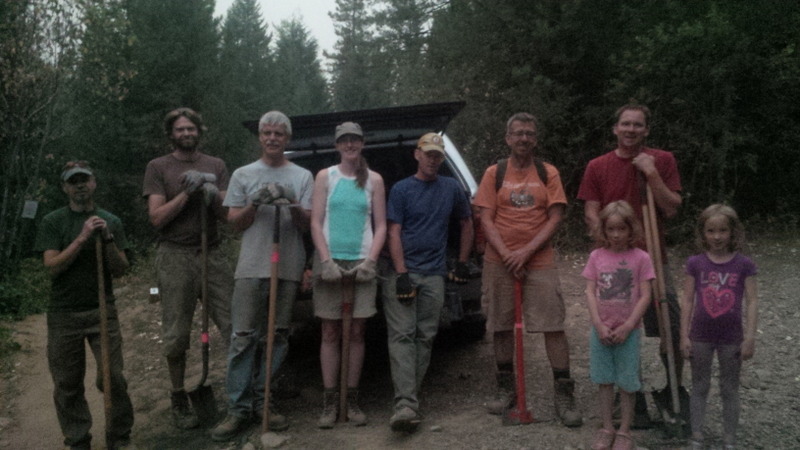 Recently, the KCTS has had great success partnering with Rossland's Church of Dirt volunteer trail building group . The first trail built in 2014 was Drifter - an easy, flowing trail that retains a true "singletrack" feel. Drifter can be ridden as a loop with Moe's for beginner riders, or used as an alternative to Centennial, for access to trails on Red Mountain, such as Redhead and Redtop. Drifter has become an instant classic for the push-bike crowd and the perfect intro to trail riding. Eddie J was finished in 2016 and provides a more engaging climb than the slog up the M.C Road and a new, intermediate trail that joins the Kootenay Columbia trail near the Iron Colt Connector. Get involved with the KCTS, learn some skills and make new friends! The volunteer KCTS board, committee members, and staff meet once a month to discuss current issues, make decisions and plan for the future. Anyone can come and help out, or just sit back and see what we are all about. We have several committees set up that you can join if you want. Current committee's are operations, funding grants, land access, public relations, and fundraising.